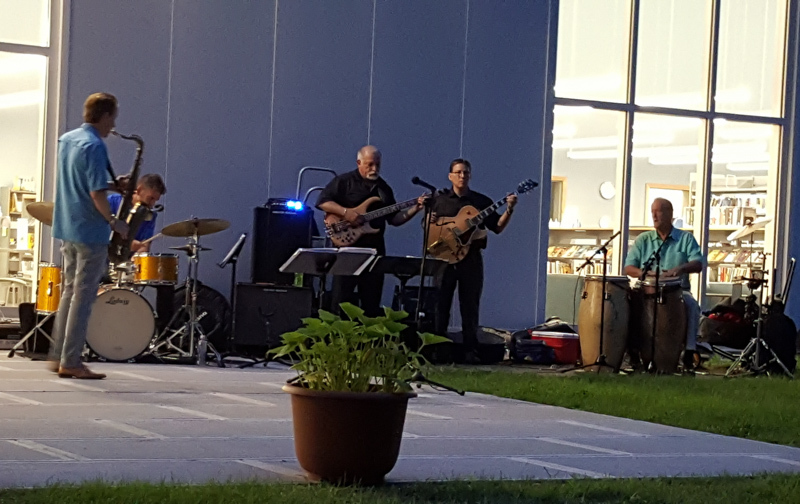 The first Outdoor Summer Jazz concert at the McAuliffe Library was a definite success. Joe Raia played some cool jazz, which the audience enjoyed along with a gentle breeze and summer sunset. There are three more concerts in the series: Jul 20, Aug. 3, and Aug. 17, all from 6:30 pm until dark.